2011 2012 2013 2014 2015 2016 2017 2018 2019 Dodge Durango Jeep Grand Cherokee 5.7 5.7L 345 Hemi. K&N intakes are designed to dramatically reduce intake restriction as they smooth and straighten air flow. 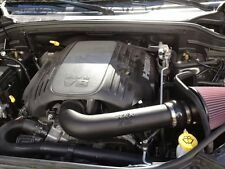 K&N Cold Air Intake Performance Kit For 2010-2015 Chevrolet Camaro SS 6.2L . Condition is Used. Shipped with UPS Ground. K&N air intakes are designed to dramatically reduce air intake restriction as well as smooth and straighten air flow. This allows your engine to inhale a larger amount of air than the factory air filter assembly. The K&N 77-3082KP high-flow performance air intake system is a free-flowing, mandrel-bent aluminum tube air induction system. The restrictive factory air filter and air intake housing on your vehicle are replaced by this K&N air intake system which is designed to dramatically reduce air flow restriction as it smoothes and straightens air flow. K&N intakes are designed to dramatically reduce intake restriction as they smooth and straighten air flow. This allows your engine to inhale a larger amount of air than the factory air filter assembly. The K&N 57-3031-1 FIPK air intake system replaces your vehicle's restrictive factory air filter and air intake housing. K&N intakes are designed to dramatically reduce intake restriction as they smooth and straighten air flow. The K&N 57-1568 FIPK air intake system replaces the restrictive factory air filter and air intake tubing while retaining the factory air box. This allows your engine to inhale a larger amount of air than the factory air filter assembly. 2012 Mini Cooper S Clubman 1.6L L4 Fuel Injection CARB EO Number: D-269-53. 2011 Mini Cooper S Clubman 1.6L L4 Fuel Injection CARB EO Number: D-269-53. The restrictive factory air filter and air intake housing are replaced by the K&N Typhoon air intake which is designed to dramatically reduce air flow restriction as it smoothes and straightens air flow. The K&N 69-2544TP Typhoon air intake system is a free-flowing, mandrel-bent aluminum tube air induction system. The restrictive factory air filter and air intake housing are replaced by the K&N Typhoon air intake which is designed to dramatically reduce air flow restriction as it smoothes and straightens air flow. The K&N 57-3031-1 FIPK air intake system replaces your vehicles restrictive factory air filter and air intake housing. K&N intakes are designed to dramatically reduce intake restriction as they smooth and straighten air flow. 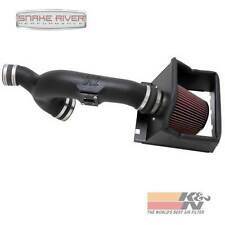 "K&N Cold Air Intake --. Swap out your restrictive air box and filter with one of K&N’s 57i Generation I cold air intakes for colossal gains in airflow, horsepower and acceleration. K&N 57i GENERATION I COLD AIR INTAKES. "K&N Cold Air Intake --K&N – 77 SERIES COLD AIR INTAKE SYSTEMS. Series : K&N 77 Series. Boosts cold air flow which translates to more horsepower. Replaces existing inlet tube and air box. Air filter material : Cotton Gauze Filter. Boosts cold air flow which translates to more horsepower. Replaces existing inlet tube and air box. 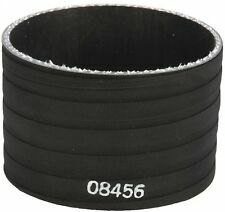 Air tube (where applicable) is made from polyethylene – more efficient than steel tubing. Air filter material : Cotton Gauze Filter.